Huzzah! At last we’ve arrived at the weekly Art Dump. 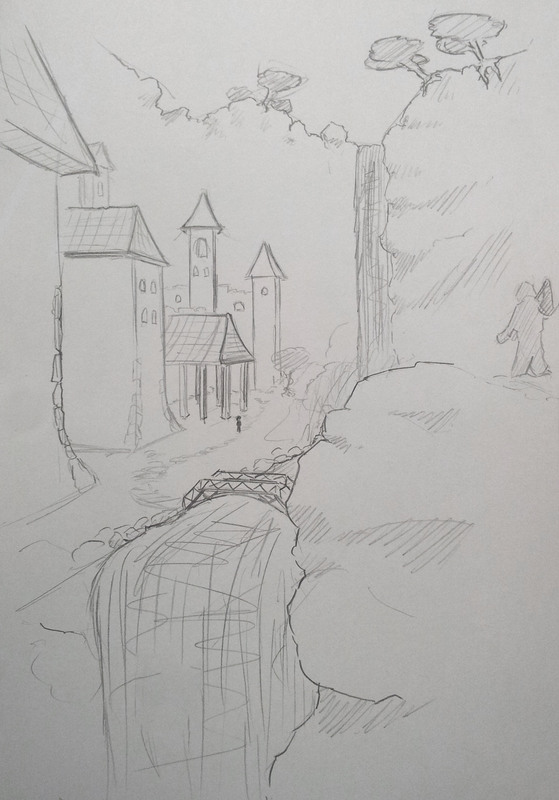 This week there are Rhorlans, Rhorlans and then just for something different I’ll throw in a random landscape sketch. 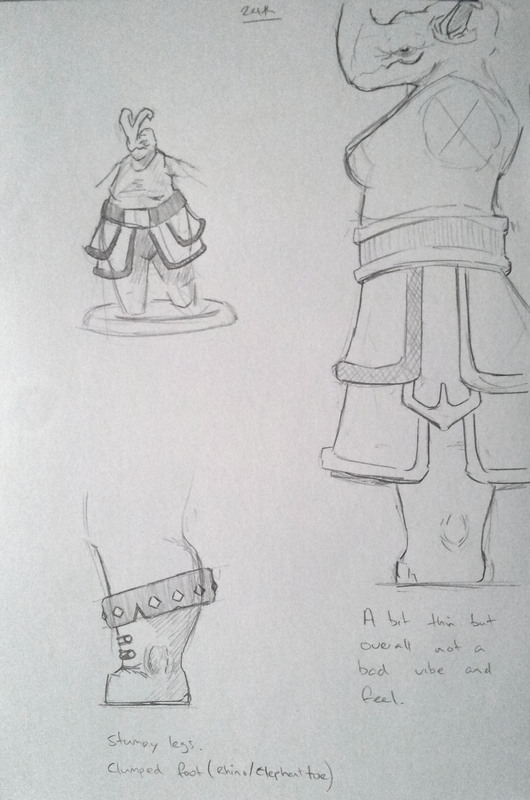 Next up are a couple of different views and sketches. Just looking at clothing ideas and occasionally trying to think of their poses. 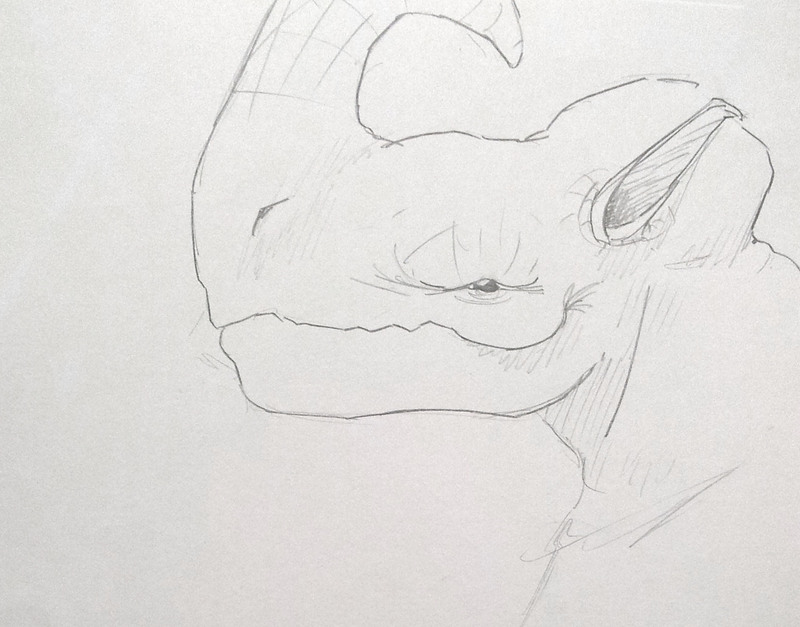 Though one thing I do notice about my drawings…I tend to end up drawing to the edge of the page and running out room. Will have to work on this! 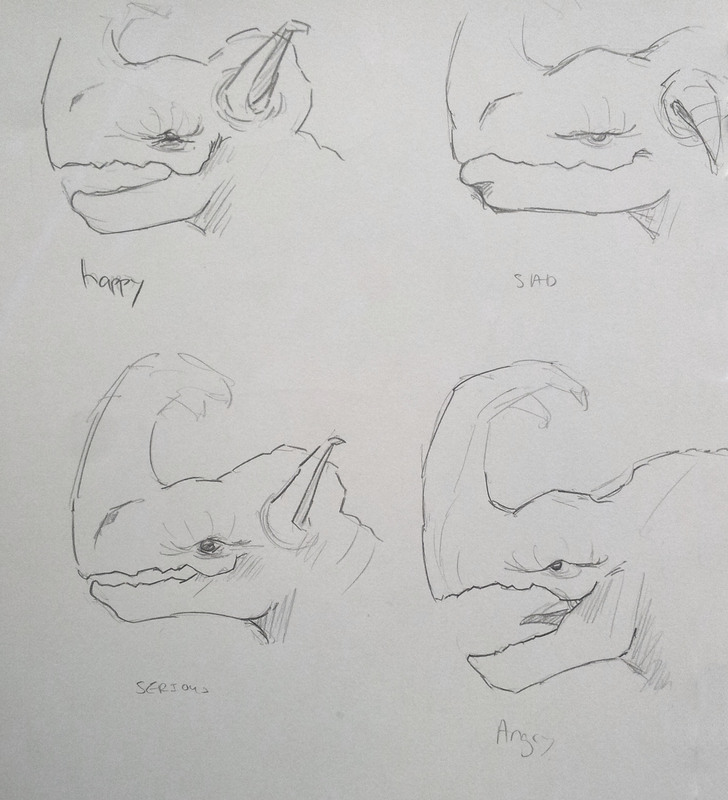 Following on is an attempt to look at different emotions and how the face would change. Definitely needs more work here, though if the character is only going to be in one static pose you could argue that it may not be that necessary to look at all aspects of the character. Last Rhorlan for this week I swear! 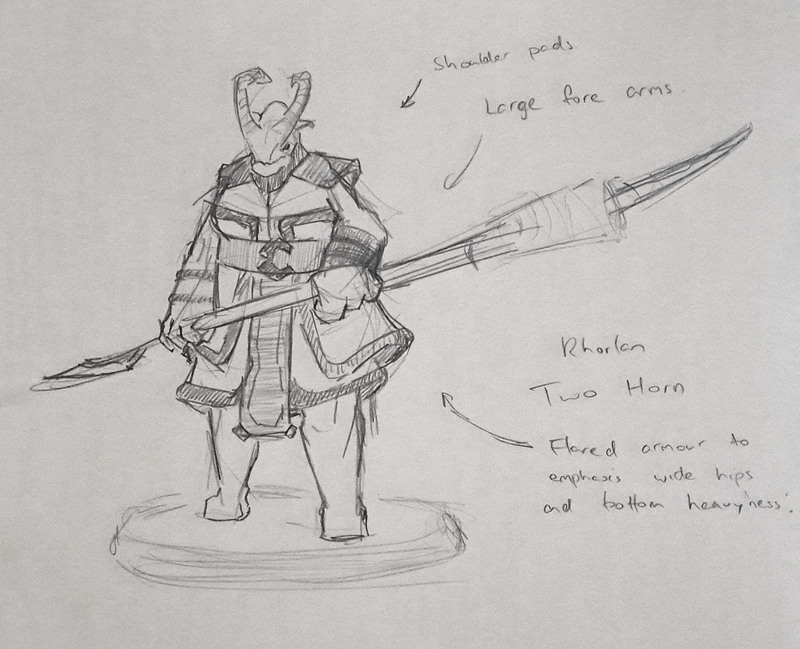 Its a mostly outfitted Two Horn at a slight angle, with some bonus notes for those who can read my poor hand writing. I think she looks quite cool and will be rather imposing on the tabletop. Finally on to something other than Rhorlans! Below you will find a temple / sanctuary situated in a valley beneath a waterfall, or at least something to that effect. I may play around with colouring it up similar to one of the other pieces I did. But regardless it was a fun piece that was a nice change to all the character drawing I had been doing.